Constitutional law expert, Mark Brown is Capital’s Newton D. Baker/Baker and Hostetler Chair of Law. He joined the faculty in 2003 and has taught at several other law schools, including the University of Illinois, Stetson University, Florida State University and Ohio State University. 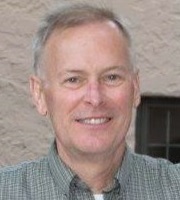 Professor Brown has co-authored, with Kit Kinports, the book, “Constitutional Litigation Under § 1983.” He also has authored several articles addressing various constitutional issues, including religion, elections, parents’ rights, gender discrimination and government’s financial liability for the wrongs it inflicts. For 18 years, he was a cooperating attorney with the ACLU Foundation of Florida, Inc. and has litigated many pro bono cases. He clerked for the Honorable Harry W. Wellford of the United States Court of Appeals for the Sixth Circuit and was a Judicial Fellow at the Supreme Court of the United States.